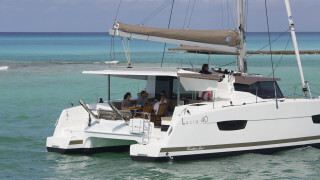 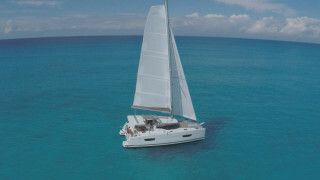 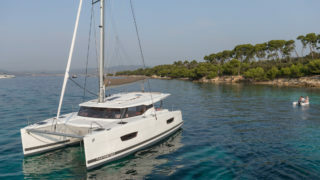 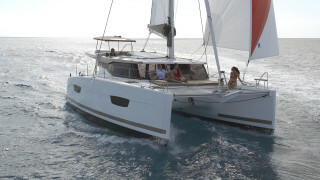 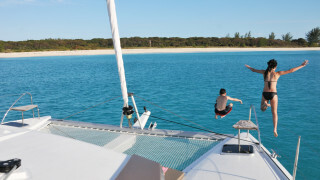 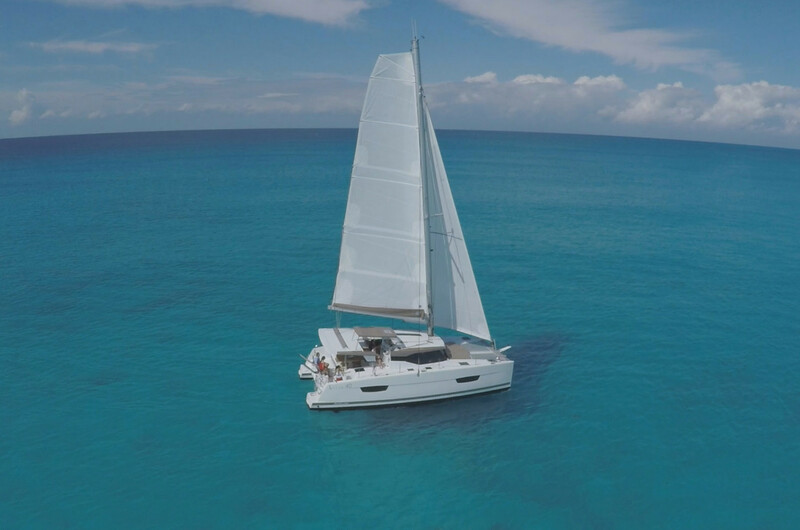 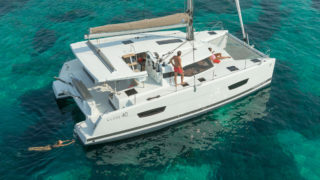 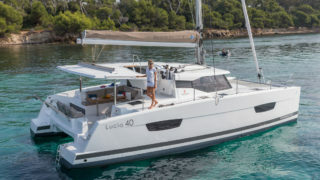 This Lucia 40 has shaken up the world’s 40’ market and is now one of the most popular cruising catamarans in her class. 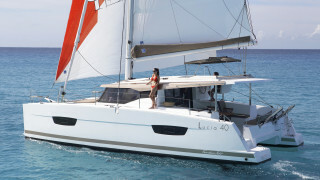 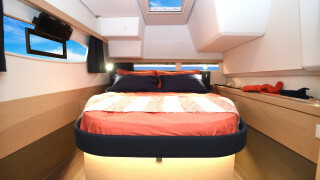 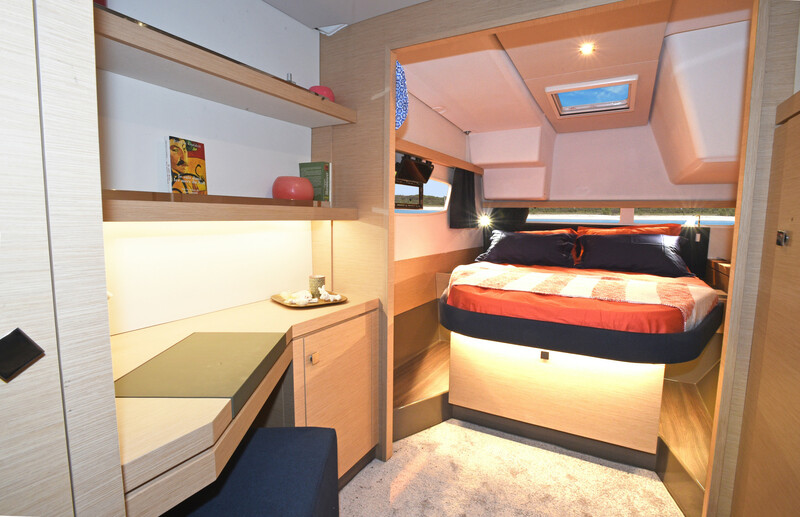 The design of the Fountaine Pajot Lucia 40 has drawn inspiration from the shipyard’s famous Helia 44 and Saba 50, offering superb luminosity and a spacious cockpit that comfortably accommodates eight people at its dining table. 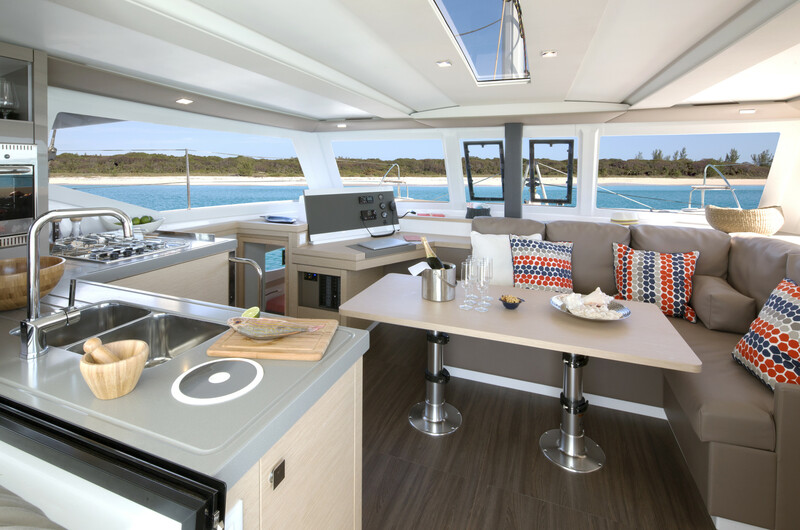 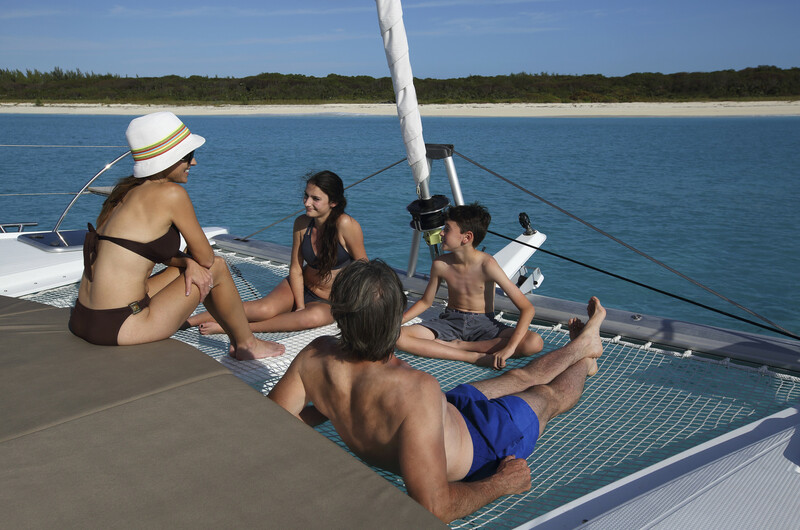 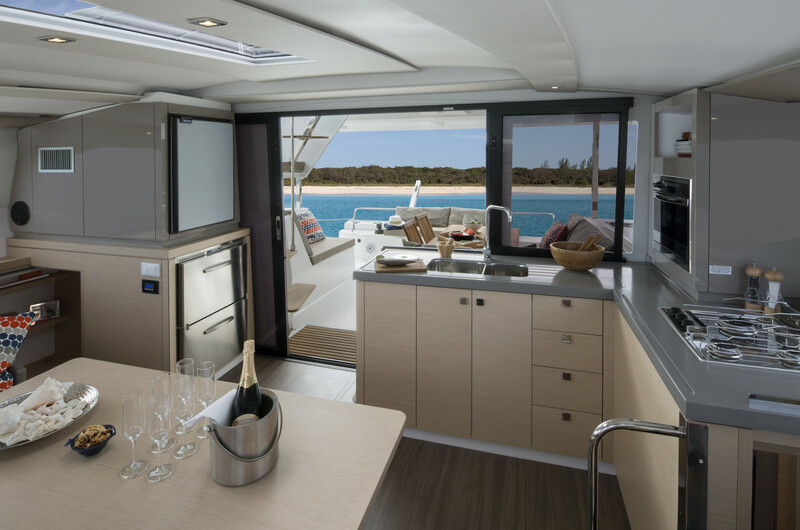 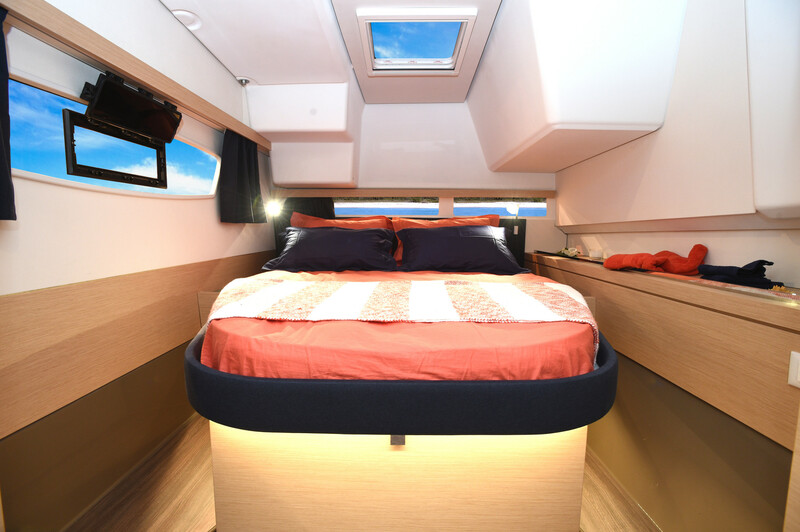 The catamaran’s sleek lines are complemented by its stylish interior design that incorporates premium quality fixtures and finishes. 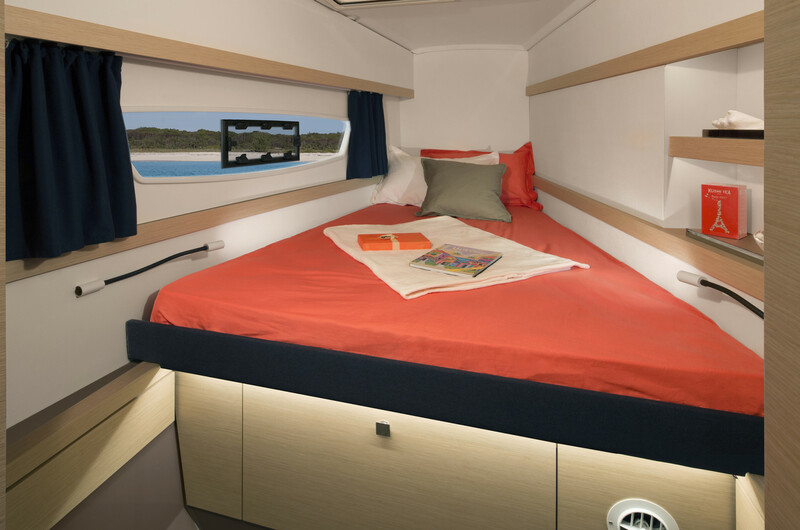 The interior is beautifully light courtesy of large panoramic portholes and excellent ventilation. 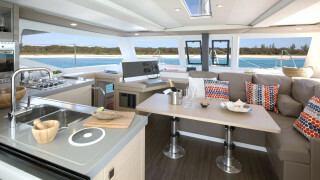 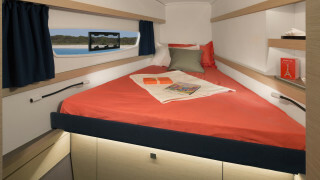 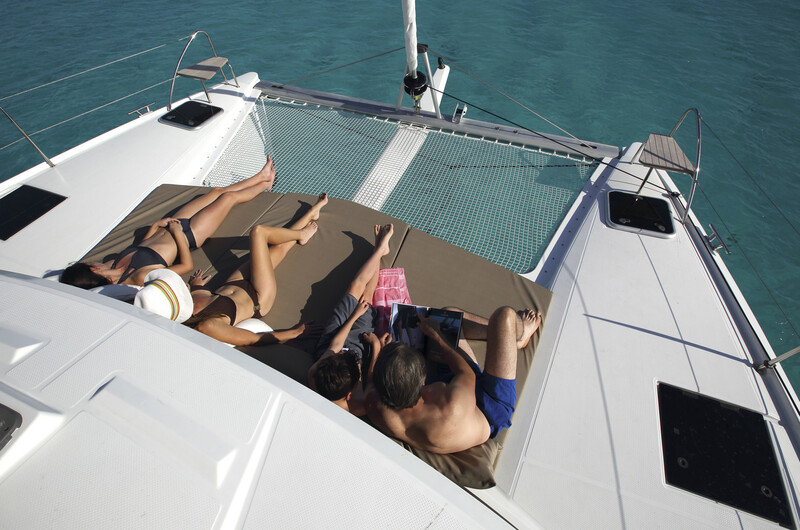 There is a generous choice of exterior relaxation areas and the spacious cockpit has been designed for easy entertaining at sea. 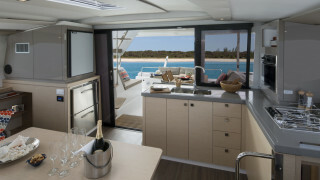 a separate shower and head in the owners suite for greater privacy and practicality. 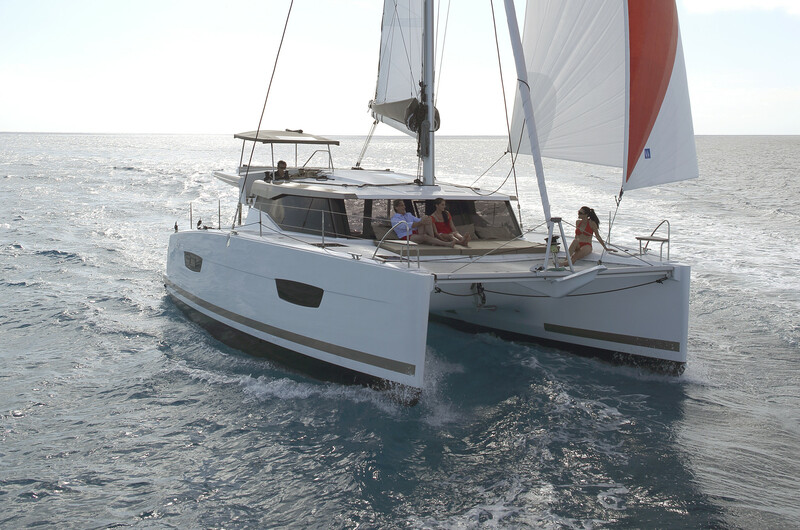 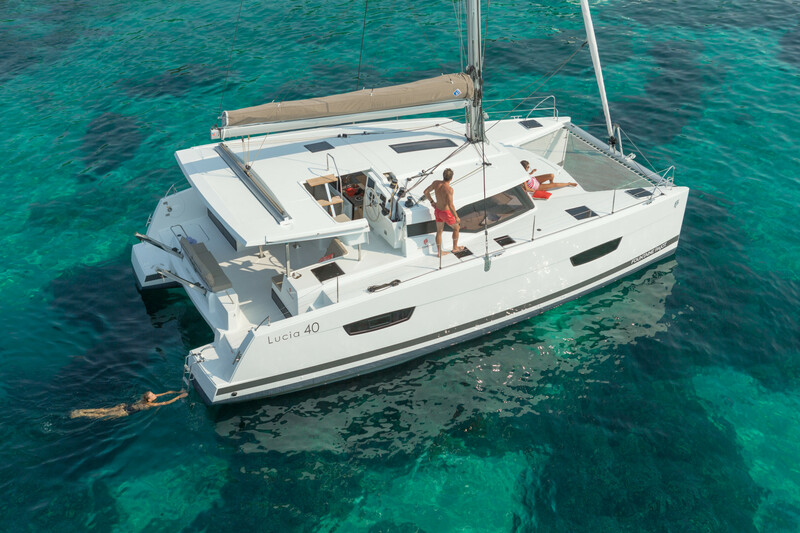 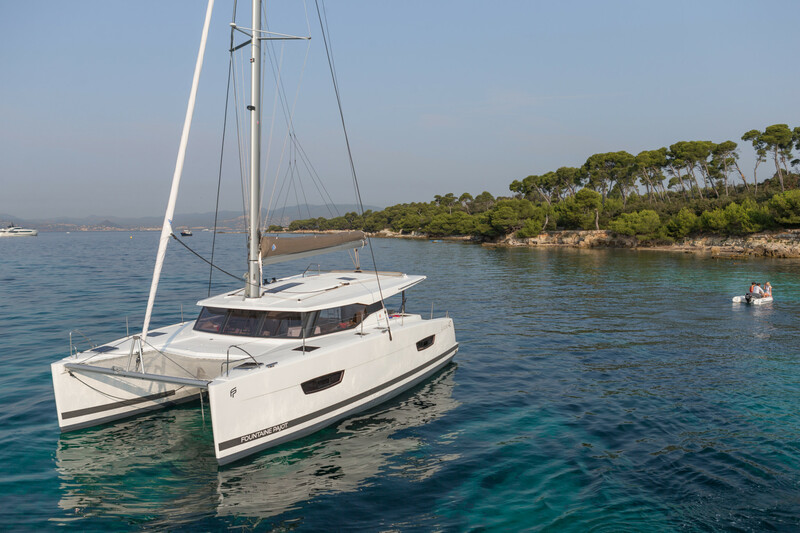 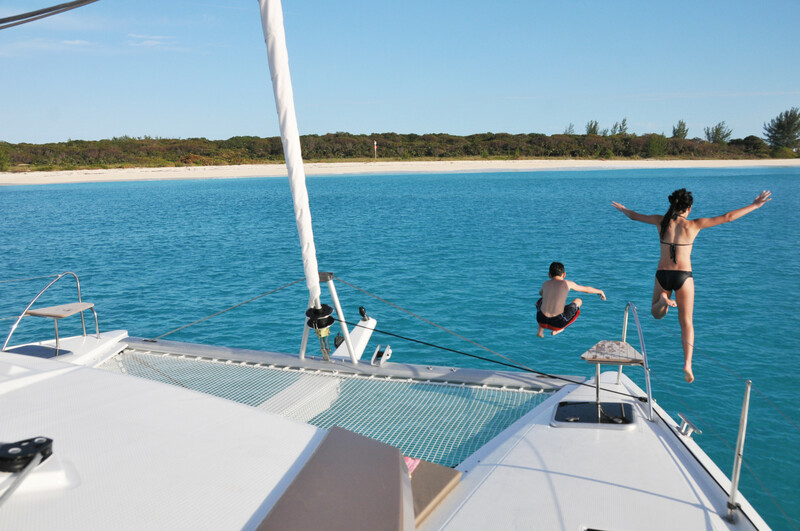 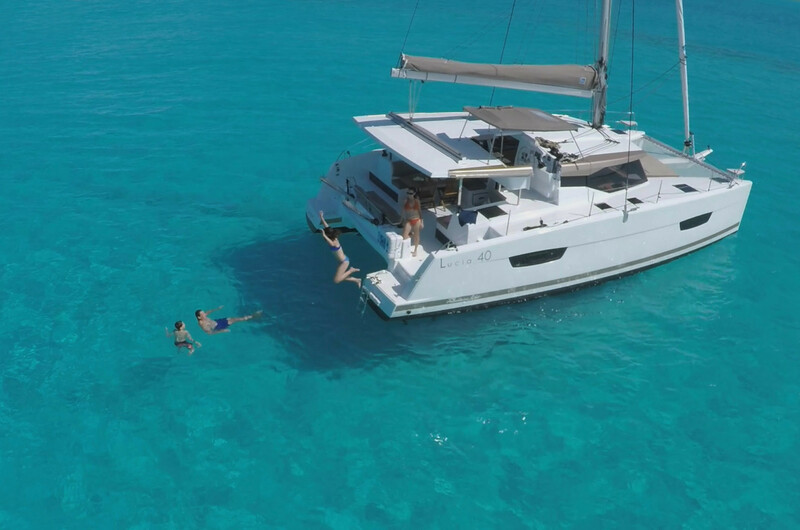 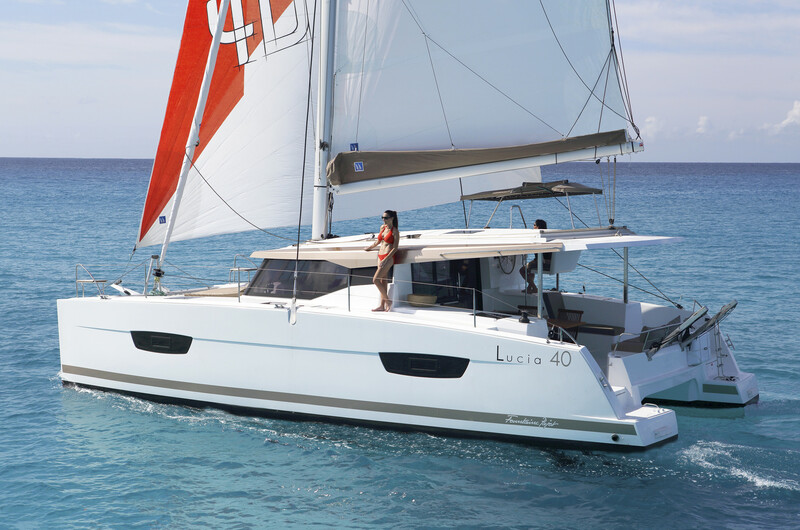 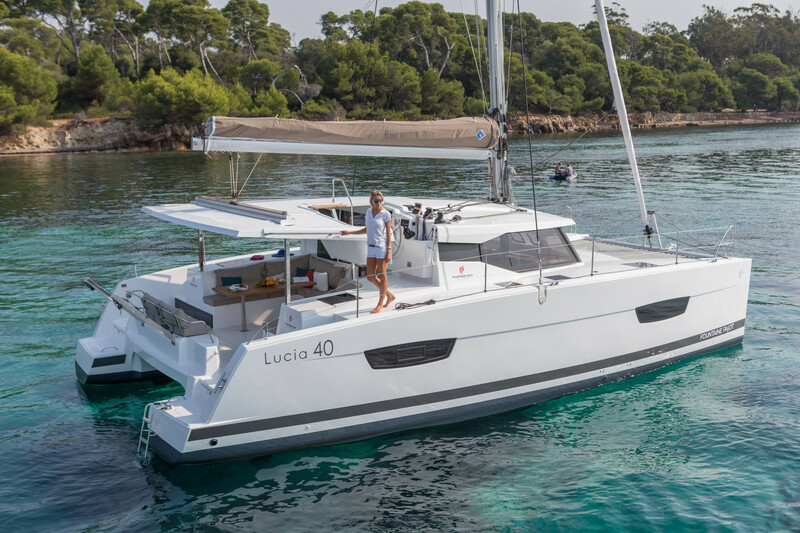 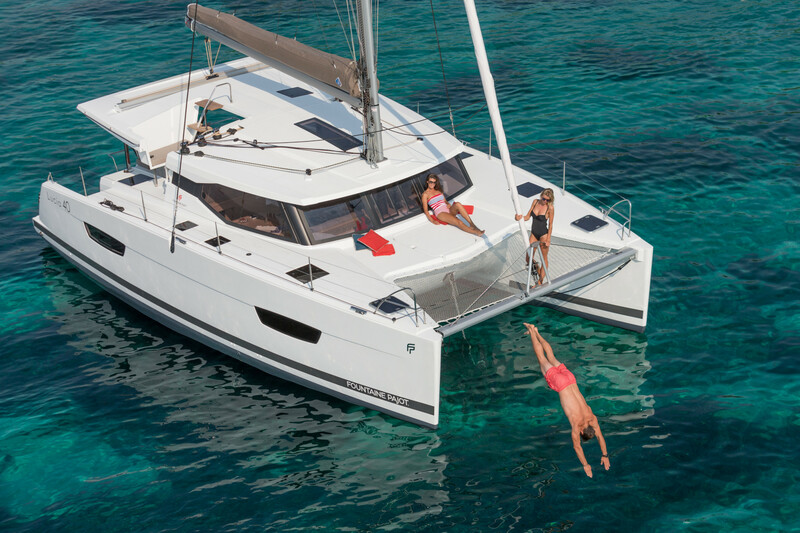 The Fountaine Pajot Lucia 40 delivers on the shipyard’s reputation for exceptional performance across its range and affords outstanding handling, stability and comfort in even the most challenging conditions. 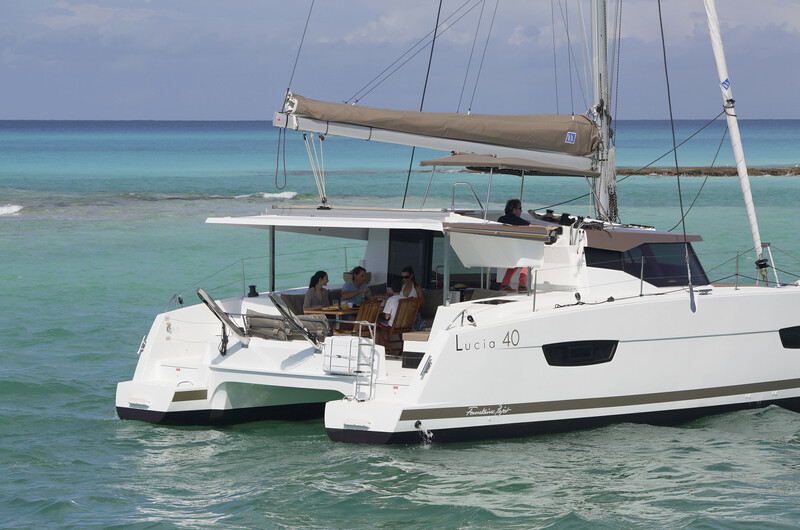 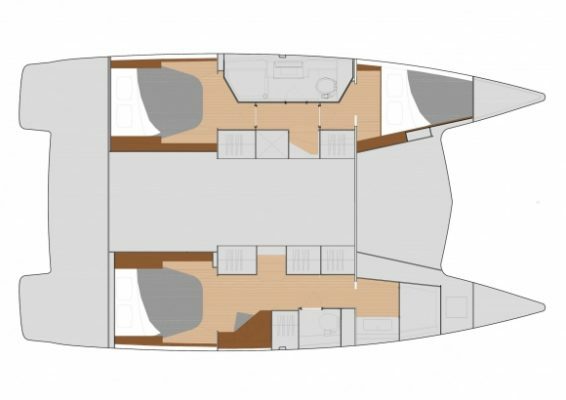 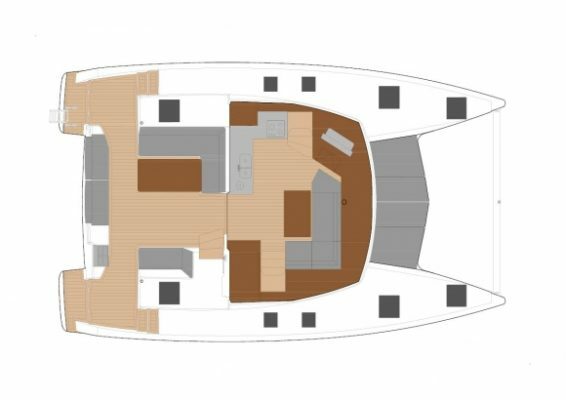 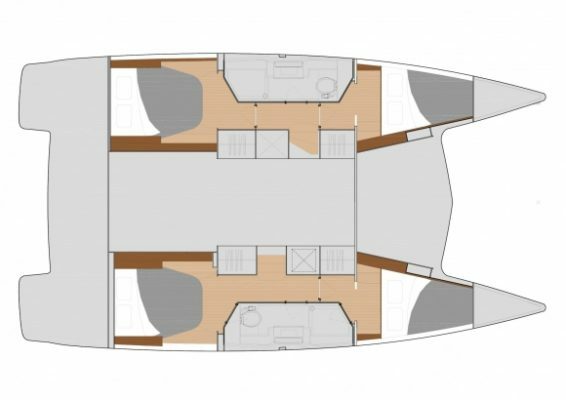 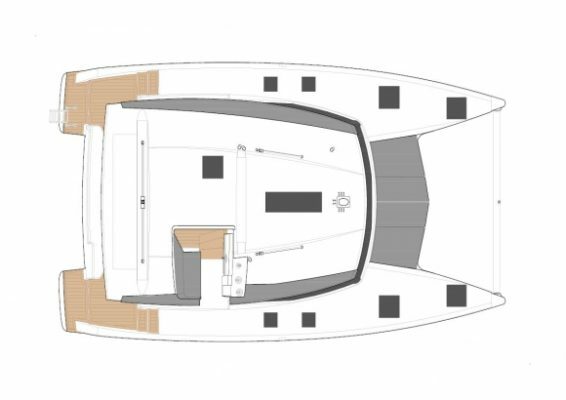 Available in four layout versions, the Lucia 40 is ideal for both private and commercial clients. 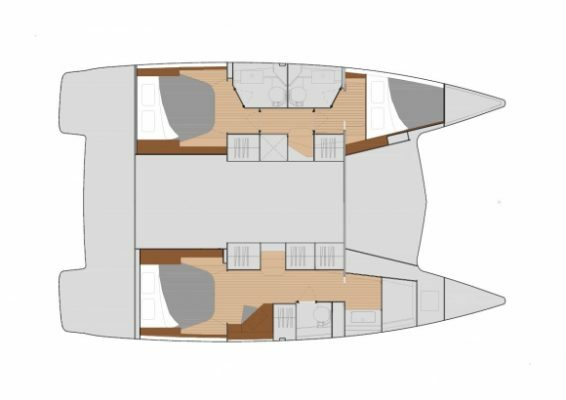 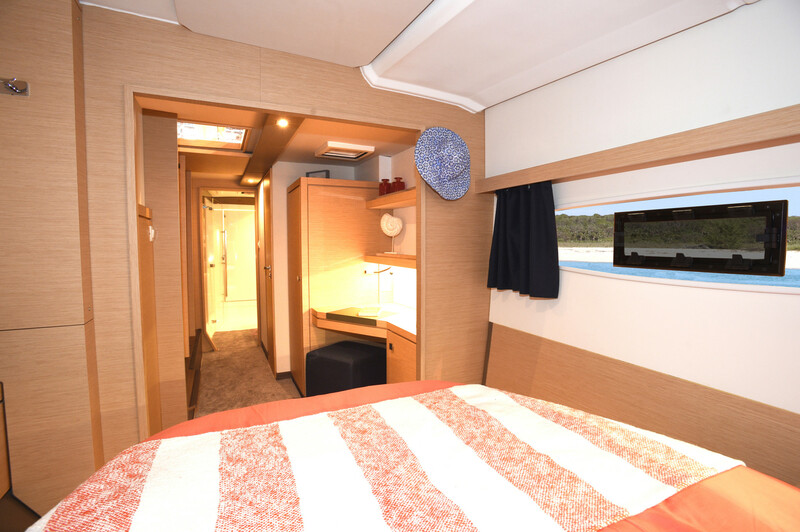 The Maestro version comprises a spacious owner’s suite with exclusive ensuite, as well as two guest cabins that feature their own private bathrooms. 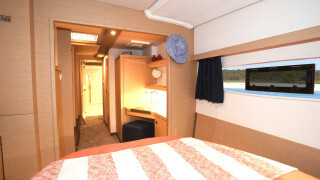 An option for a shared bathroom on the guest side is also available. 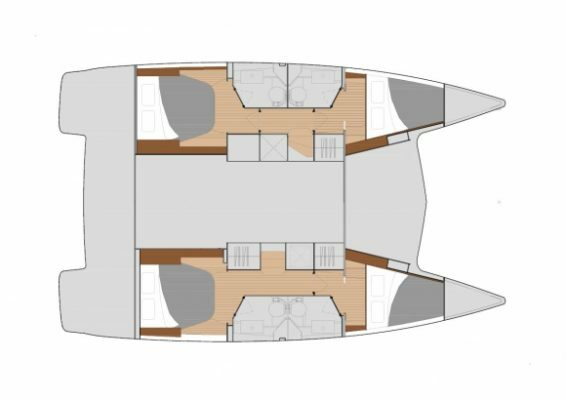 The Quintet version is ideal for charter operators and families, with its four double cabins that each include private ensuites. 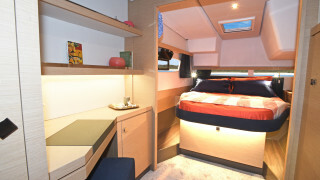 The shared bathroom option is also available for this layout.